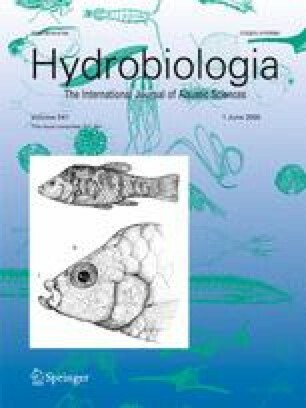 The first distribution, biomass and toxicity study of a newly established bloom of the colonial cyanobacteria Microcystis aeruginosa was conducted on October 15, 2003 in the upper San Francisco Bay Estuary. Microcystis aeruginosa was widely distributed throughout 180 km of waterways in the upper San Francisco Bay Estuary from freshwater to brackish water environments and contained hepatotoxic microcystins at all stations. Other cyanobacteria toxins were absent or only present in trace amounts. The composition of the microcystins among stations was similar and dominated by demethyl microcystin-LR followed by microcystin-LR. In situ toxicity computed for the >75 μm cell diameter size fraction was well below the 1 μg l−1 advisory level set by the World Health Organization for water quality, but the toxicity of the full population is unknown. The toxicity may have been greater earlier in the year when biomass was visibly higher. Toxicity was highest at low water temperature, water transparency and salinity. Microcystins from the bloom entered the food web and were present in both total zooplankton and clam tissue. Initial laboratory feeding tests suggested the cyanobacteria was not consumed by the adult copepod Eurytemora affinis, an important fishery food source in the estuary.